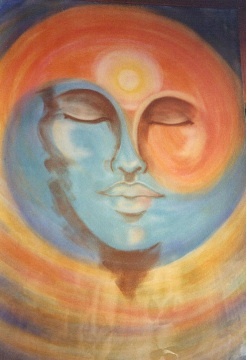 * ThetaHealing * ThetaHealing is a profound and life-changing form of healing. It has been used since ancient times under many various names.﻿ It is a simple yet very powerful healing technique that is basically Applied Quantum Physics.Theta Healing offers the benefits of Hypnotherapy, which is the reprogramming of the subconscious . Many of you may have heard about the premise of the Law of Attraction, spoken of in the movie, "The Secret", which basically states the Universal Law of - You create your own reality, so what you believe, you create. Many of us are sub-consciously holding on to many old and outdated belief systems that no longer serve us. I go into a particular meditative Theta brainwave state, while remaining conscious and channel universal healing energy to the client. The healings produce profound changes in your subconscious beliefs, in your physical, mental, emotional and spiritual self and in what you manifest in your life. The Theta brainwave vibrates at four to seven cycles per second. This is a deep hypnosis state and the state youre normally in at night when youre first dreaming. In this state you can have access to the subconscious mind, and still remember all that has taken place. The healing that occurs is based on the basic principles of Quantum Physics. When the mind reaches the theta brainwave it connects to the Source of All That Is, where all potentials exist simultaneously. Most of the beliefs we hold are from the subconscious level. Some of our beliefs are formed based on our experiences, and not all of our beliefs serve us. We have beliefs that were passed down to us in our DNA, and we are born with beliefs, that are held at the soul level. We also acquire beliefs from the collective consciousness of the groups and societies we live in, and from historic events. We don't realize they even exist, as they reside in the sub- conscious. They seem to run like computer programs responsible for our experiences and what we manifest in our lives. We create our own reality. During a session, you can choose your beliefs and consciously create your life. You can experience physical healings, and clear and reprogram beliefs and feelings that no longer serve you. Core Level: All of the beliefs developed during this life from Conception to now. Genetic Level: All the gifts and "baggage" handed down to you for seven generations. History Level: All the oaths, vows, karmic contracts, trauma, and lessons learned on, including past lives in a human and spiritual "body". We also may have left soul fragments with others in other lifetimes. A belief in past life's or reincarnation is not necessary for these healing techniques to be effective. Soul Level: The real "you" resides on this level and continues on after the human body dies. Beliefs can also be stored on this level. There are energetic programs in our DNA called "energy bundles", that work to create our perceptions of our daily experiences in our "personal reality". Our DNA contains all of the physical characteristics of our body. It also contains information that is coded in the non-physical magnetic and spiritual energy strands, making us all very unique. 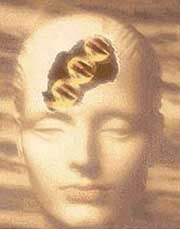 Through the use of the ThetaHealing technique, it is possible to activate the both the youth & vitality DNA and the shadow strands. A period of time and the effect differ from person to person. People often experience a reduction in facial wrinkling, an increase in energy, improved eyesight, increased youth and vitality, sharper mental outlook. They also report a rise in healthy relationships. For some, their intuitive abilities may increase. The most predominate positive outcome is that people report the experience of an increase in their knowing their spiritual life purpose. Several of the other modalities included in sessions are: Body Scans, Soul Fragment Retrieval/Return, Future Readings, Readings with the Higher Self and your Angels, Manifestation Work, House Clearings, plus much more. The sessions are tailored to meet each person as a unique individual. During a session either in person or by telephone, the client need only to be in a relaxed state and willing to accept the healing that will occur. Theta Healing blends well with IET and many other modalities. You have the potential to make dramatic positive changes in your life now! Cross the bridge in to the next dimension of Quantum Living! Are you ready to experience a Miracle?